I lost my father a year ago. It doesn't seem possible that such a long time has passed. it seems like everything happened yesterday. We did not put him in the ground; this is not not his grave, or anything like it; his ashes lie scattered in the blue waters of Puget Sound. 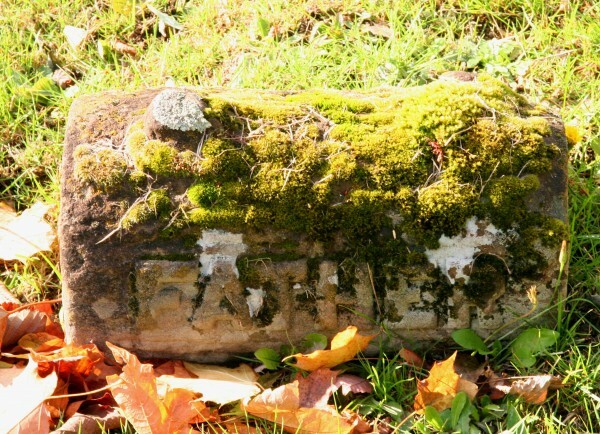 But I went looking for this image in my files, a picture I took at Bellingham's Bayview Cemetery six years ago. I remember taking it; I remember a frisson of superstitious horror as i took it, thinking, "One day..." There was nothing there other than that single forlorn stone. No name. No date. Just "Father". And somehow... somehow... this inability to name a person, a date of death... this urge to memorialise but the recoil from saying a name which no longer belongs in the register of the living... I can understand this perfectly. Today, I remember him, like I remember him almost every day. But today, I remember him because today is the day he left me. And there is a stone raised on this day in my spirit and in my heart, a stone that simply says, "Father". He is gone. A year has passed. His eyes look upon me only from photographs, the memory of his hand survives in dedications he wrote on the flyleaves of books he bought for me. And inside of me, because he is part of me, he lives. For the rest... there is a stone. WIth moss growing on it. That simply says... "Father".